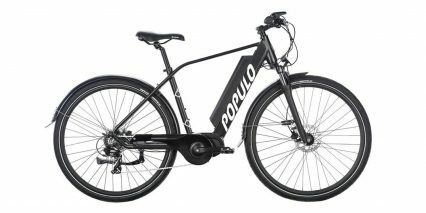 The Populo Sport V3 is the third iteration of this model and the second bike in Populo’s lineup I’ve reviewed. The first was the Scout, which I reviewed in November of 2017. Court has also reviewed an earlier version of the Sport back in November of 2016. The V3 is largely the same as the last version, but interestingly has a smaller capacity battery. 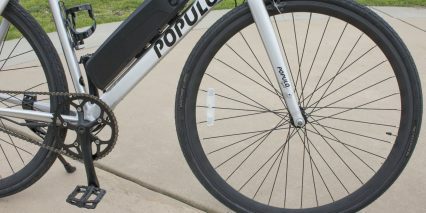 Priced at $999, the Sport is the most affordable bike in Populo’s lineup. 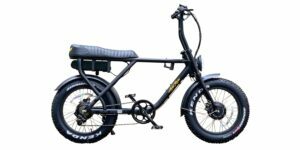 This model, like the Scout, seems geared towards an urban environment, but the Sport is an extremely simplified pedal assist model with all but the most essential components stripped away, which makes sense given it’s comparatively lower price point. 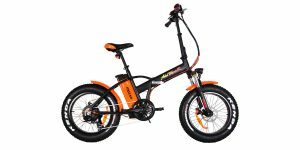 The Sport is a single speed with an efficient 250-watt geared hub motor, removable battery, and not much else. But that’s not necessarily a bad thing! On the contrary, I enjoy the basic nature of this bike and perhaps most of all, I appreciate how lightweight it is. 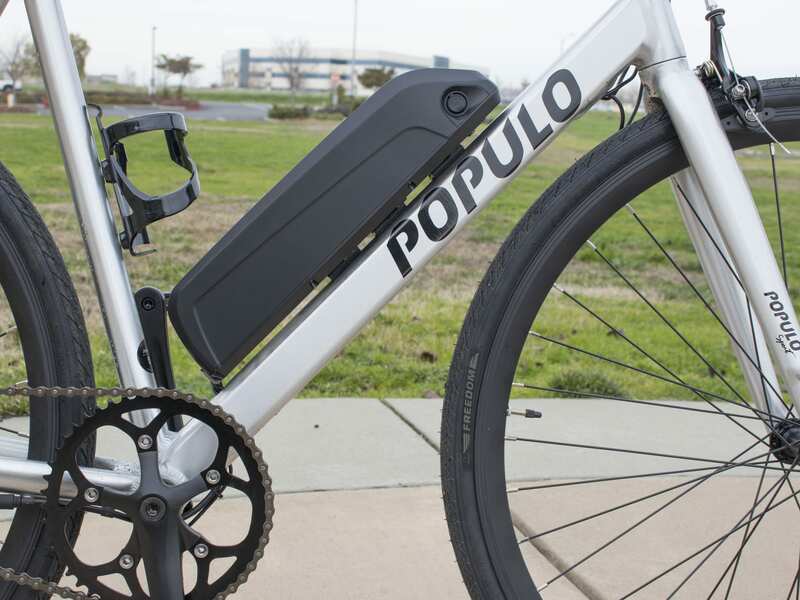 At ~37.2 pounds, the aluminum alloy frame is sturdy and light, the bike is pretty easy to pick up and carry around, and it’s even relatively easy to ride without the pedal assist. 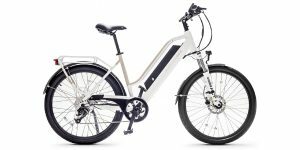 Compared to some of the other electric bikes I’ve tested, which have weighed in with a curb weight upwards of 60 pounds, the Sport feels refreshingly light. The Sport comes in quite a few frame sizes: 19 inch, 20 inch, 22 inch and 23 inch. It also comes in three different colors: Black, White and Polish. 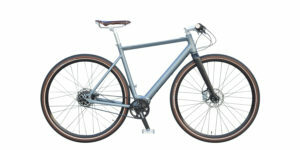 The bike I tested was the Polish color, which looked like brushed aluminum. From an aesthetics standpoint, I dig this color, and I also think it would show up well in low-light conditions. The aluminum finish would probably do a good job of reflecting headlights, and I think the White color would also be pretty visible at night as well. So for those who prefer to do a bit of night riding, those two colors might be a good choice. 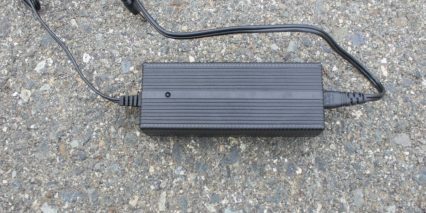 And you can always add some bright rechargeable LED lights like these to keep you more visible. Aside from the different frame sizes and colors though, there’s no other options or accessories to choose from for the Sport. So, let’s a take a look at the Sport’s specs and my experience with it. 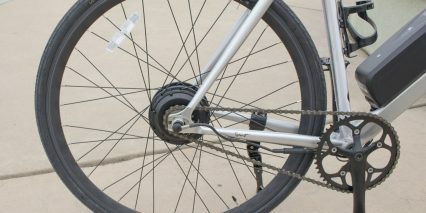 Driving the Sport to a top pedal-assisted speed of ~20 mph is a 250-watt planetary geared hub motor. I couldn’t find any branding on this motor, so I wasn’t able to confirm the exact specs, but Populo told me it puts out around 40 newton meters of torque (which is above average, most other 250 watt motors are rated around 35 Nm). This motor may be tiny, but I felt like it packed a decent punch when I cranked up the pedal assist to the highest setting, which is level nine. Of course, I’m not going to be attempting any massive hill climbs with this thing, but then I don’t think that’s really the philosophy of use for this particular bike. 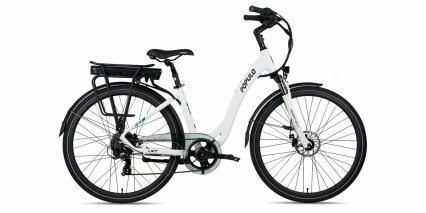 This bike feels like it’s aimed at cruising through flat-ish city streets. 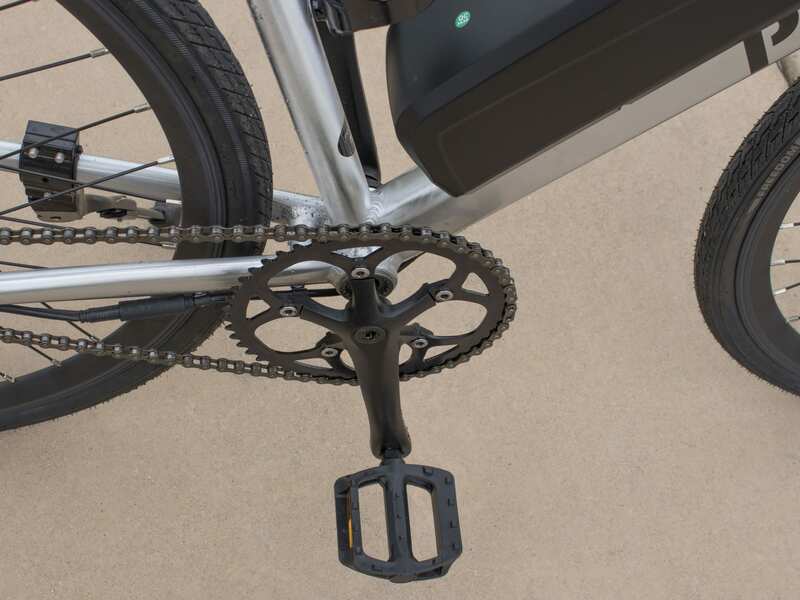 It does require a little bit of effort to get the Sport moving from a dead standstill, especially since it takes a second or so of pedaling to get the motor to kick on because it uses a cadence sensor vs. torque. But once it’s in motion the single speed doesn’t feel like a hinderance so long as I stayed on level ground. The cadence sensor is adequate for the Sport, but compared to the highly sensitive torque sensor on the Scout, it does feel a bit lackluster. Like most cadence sensors, there’s a delay from when I start and stop pedaling to the time the motor actually activates and shuts off. 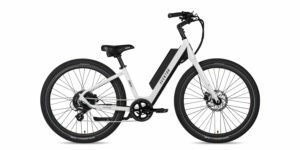 The 36v, 8.7ah locking battery is located on the down tube which is great for balance and it detaches from the frame only after it’s been unlocked with the included key. 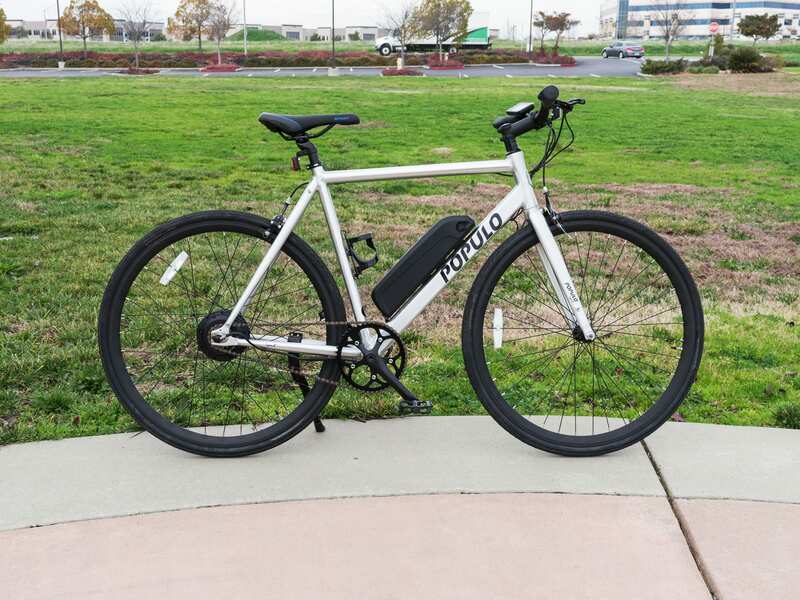 The capacity on this battery is a little lower than some of the other electric bikes I’ve tested (I’d call 36 volt 10 amp hour average sized), but again this makes sense to me given the price tag of $999 and the fact this is a “bare essentials” type of setup. 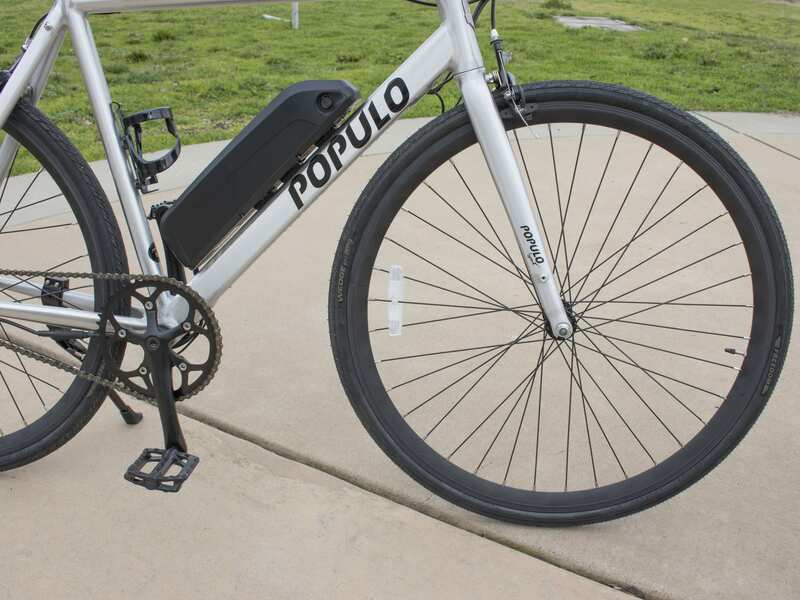 Populo estimates the range of the Sport to be upwards of 30 miles per charge, which sounds realistic given the efficient 250-watt motor, smooth efficient tires, and rigid frame. This would of course depend on rider weight and riding conditions, but I definitely think it’s a reasonable estimate. 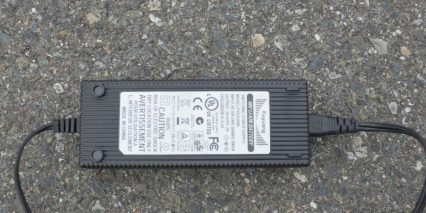 What I find interesting on this battery is that compared to the last version of the Sport, it has a slightly lower capacity – 8.7 ah compared to the last version’s 10.4ah – and the battery pack also loses the built-in USB charger. 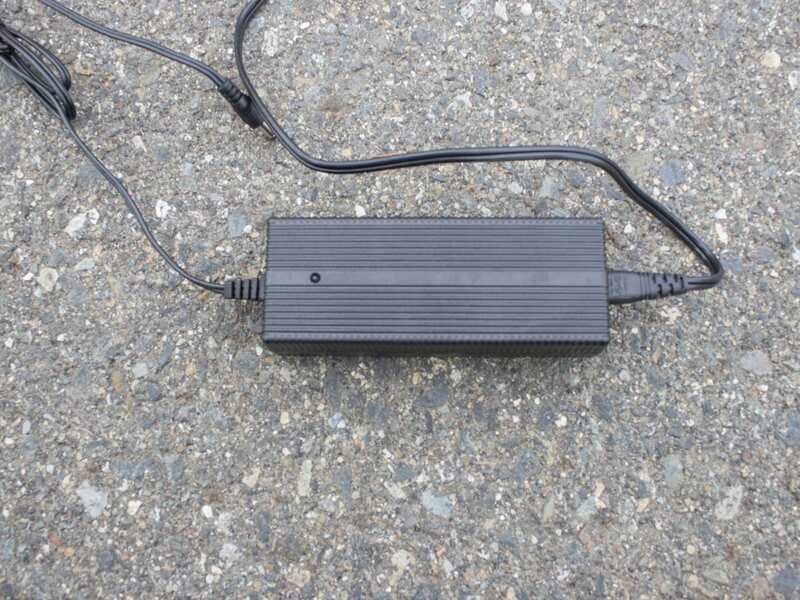 While a USB charger is definitely a small feature, to me it’s an important one because I always find my accessories are low on juice and I love being able to use my ebike batteries as portable battery banks. Unfortunately, charging like this isn’t an option with the new Scout model. 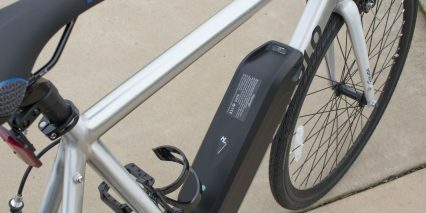 The good news however, is that since this battery pack is still removable, the Sport can serve as a practical city commuter bike. 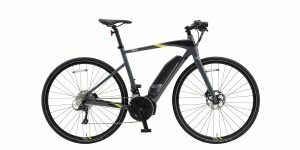 Sure it only has one speed, but some folks prefer that, and so long as the terrain is flat I don’t think it will be an issue. 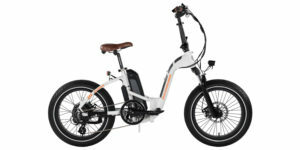 You will still get a decent amount of help on hills, and you have to pedal to get the motor to activate anyway, so it’s just more of an active ebike experience, there is no throttle. 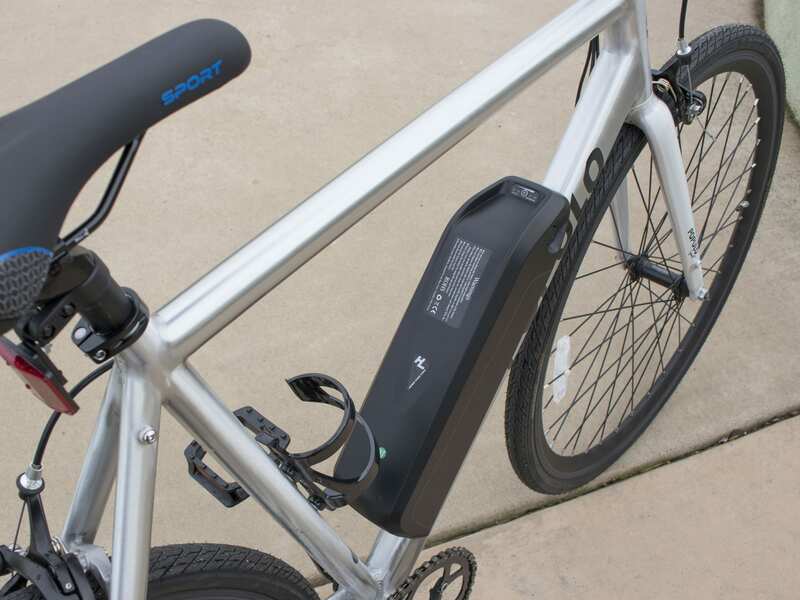 Furthermore, I can park the Sport at a bike rack, unlock the battery and throw it in bag, then charge it up while I’m chilling at a coffee shop! 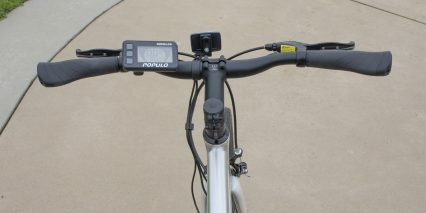 This also ensures that nobody will be able to turn the bike on or tamper with it. Also, because the battery pack and the motor weigh roughly the same, and because of their location on the frame, the bike feels pretty well balanced. I was able to pick up by middle of the top tube and carry it around easily enough without it tipping backwards or forwards. 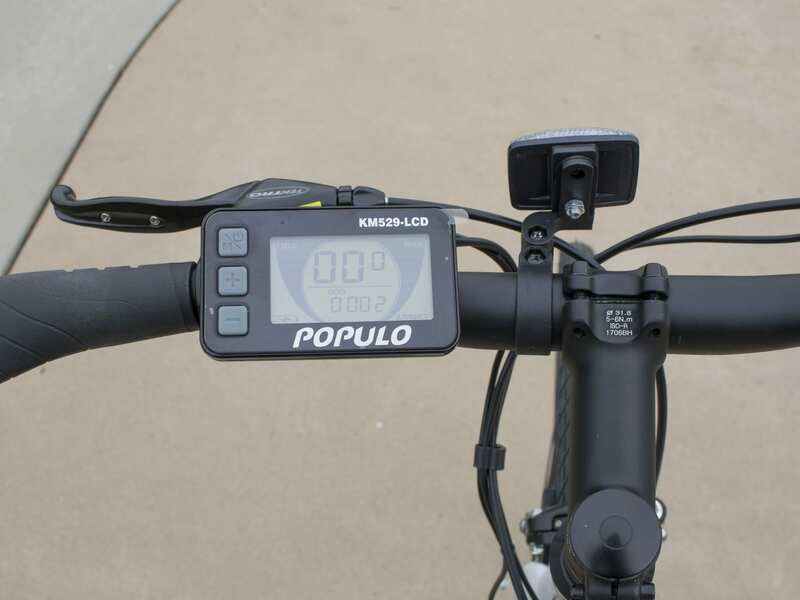 The LCD control center is located on the left side of the handlebars and displays current speed, a 10-bar battery level indicator, pedal assist settings from 0 to 9 and the ability to view a tripometer or odometer. While I do prefer a percentage battery indicator, I appreciate that this one is at least a 10-bar. Though not as accurate as a percentage indicator, having 10 bars (10% increments) makes me feel like I can know how much juice I have left with a reasonable degree of accuracy. 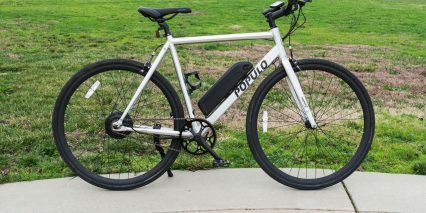 Also, it’s nice that there are 10 levels of pedal assist, but for a 250-watt motor I think that might be a few too many. 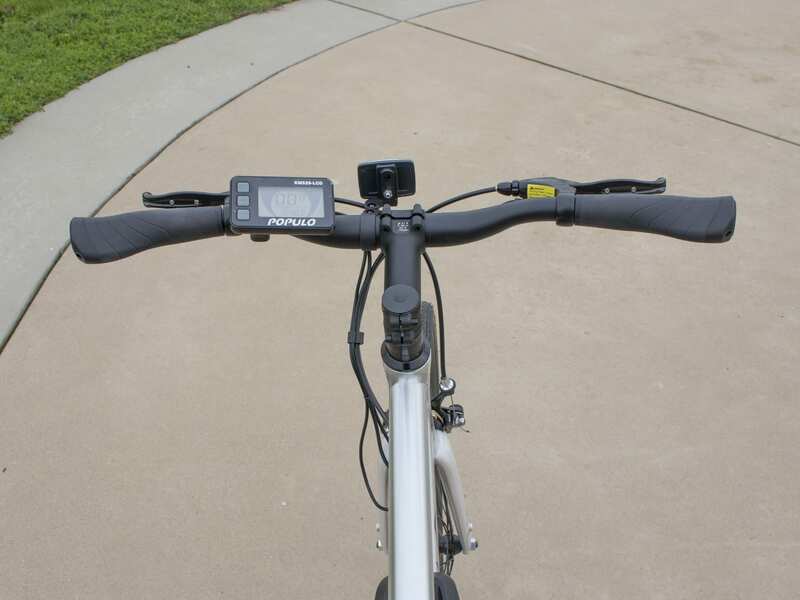 Not saying it’s a bad thing, only that it takes a few extra clicks on the control center to get the bike into its highest pedal assist setting. Something to note about the control center is that the pedal-assist setting defaults to 1 whenever the bike is powered on. So if you prefer always keeping it at a specific setting, just remember to switch it back to that number after turning it on. The control center itself isn’t easily removable and doesn’t have a passcode function, which raises two primary concerns for me. First, if I were to leave my Sport at a public bike rack, I’d be worried that someone might accidentally scratch up the screen or even try to tamper with it. Second, anyone can access this bike. 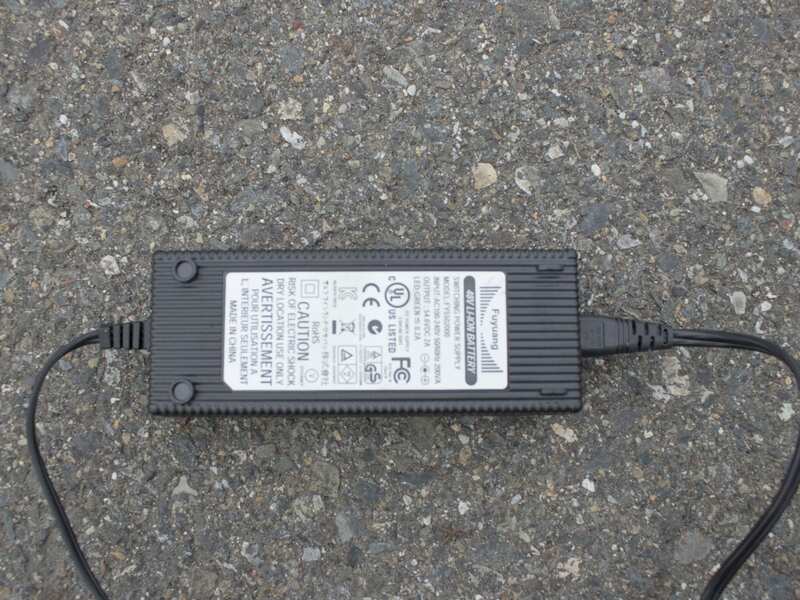 Since this is only a 250-watt motor I don’t think this will be as big of a deal compared to a more powerful motor, but still, it would be nice to have an electronic lock functionality. The screen is easy enough to read and may have a backlight mode if you hold the plus arrow. It also has walk mode if hold the minus button for a few seconds. The brakes on the Sport are caliper brakes, and honestly the stopping power is a bit underwhelming. I think I’ve gotten a bit spoiled and accustomed to always having disc brakes, so maybe it’s just a stark contrast that I’m seeing here. 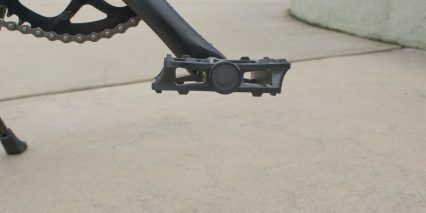 Like most caliper brakes, these require a good deal of pressure to quickly bring the bike to a stop. 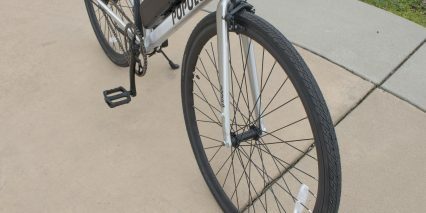 They have a decent mechanical advantage with the narrower rims and are often used to save weight and be aerodynamic on road bikes. When squeezing the brakes as hard as I could, I was able to stop within a reasonable distance, but riders without as much hand strength, or those riding in the cold may find stopping quickly rather difficult. This may be exacerbated by the fact the brake levers don’t offer adjustable reach. That being said, the brakes do get the job done. 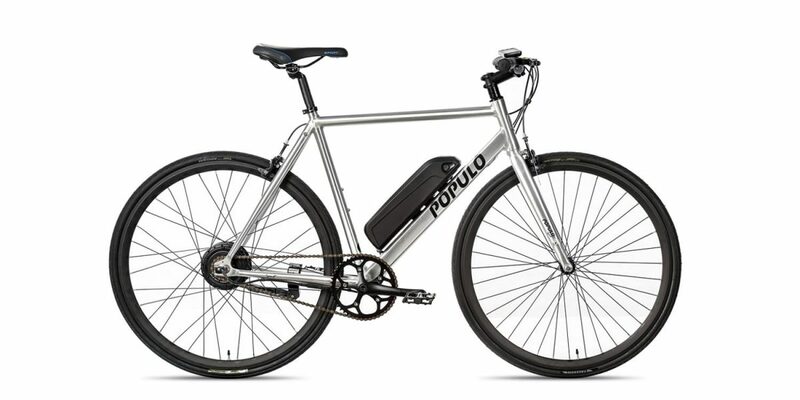 Also, with an affordable price tag of $999, it makes sense that Populo would have to make cuts somewhere, and it seems like the brakes are one of those areas. 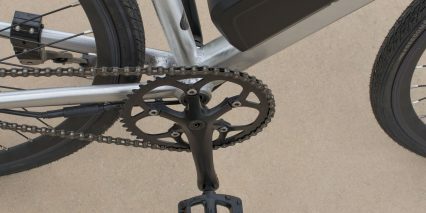 While there’s no derailleur on the Sport, it’s worth talking briefly about the gearing and chainring itself. First off, the single speed gearing feels pretty much spot on for me. It feels like ~18 mph is the sweet spot as far as cadence goes and pedaling felt comfortable at that speed. The chainring doesn’t have a guard, and while it makes for a clean look, my pants probably won’t look very clean after riding for a while. 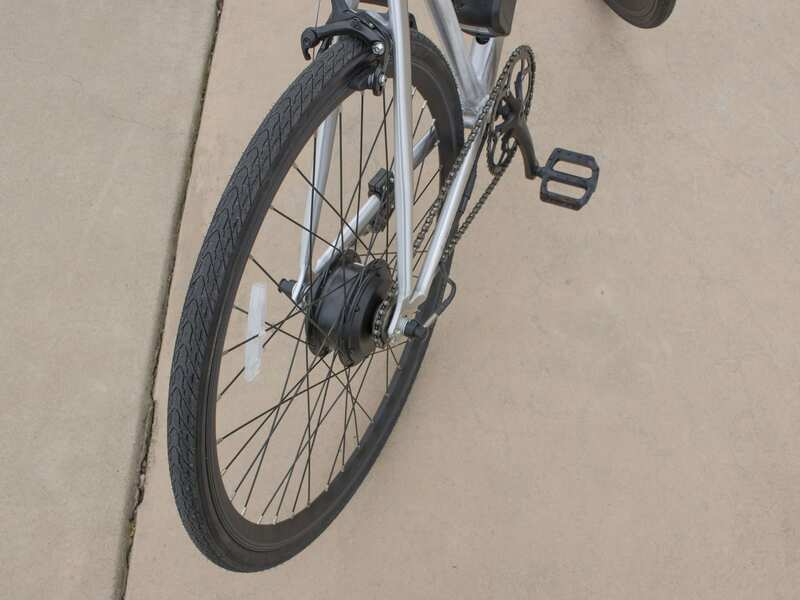 No chain guard or guide also makes for a higher chance of a chain derailment, though it’s not very likely since the chain is straight and only travels through one sprocket. 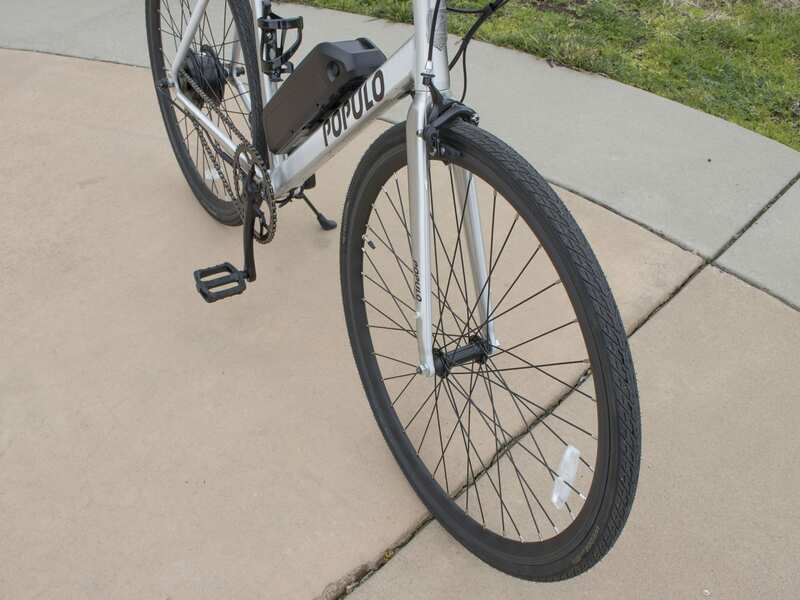 Because the motor is only 250 watts, and because there isn’t a derailleur, I have a feeling the likelihood of a derailment is pretty small, so the biggest consideration is cleanliness of your pant legs, perhaps a sleek minimalist chain cover could be added to future iterations? 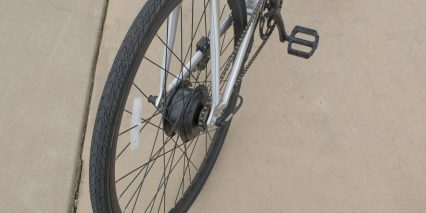 You can always take it off as the rider, or you could use a reflective ankle band like this to keep your pant leg clean. 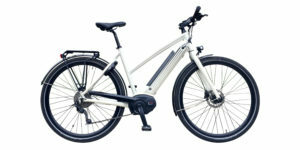 While the Sport is a simplistic electric bike, I rather appreciate it’s ease of use. Just turn it on and go. No fuss, no muss. 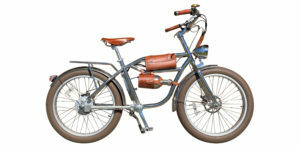 There’s no gear shifting to worry about, no lights to turn off or on, no noisy fenders or rack, and no apps to connect. 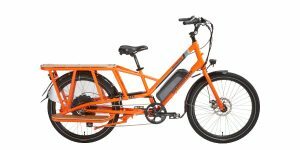 I think the Sport is a good choice for anyone on a budget, or those who live in flatter areas and may not need multiple gears. I think it’s also a good fit for those who may need to carry their bike around, either up and down stairs, through a crowd or wherever. 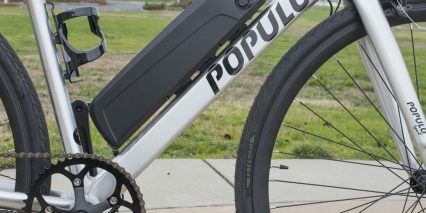 Because it only weighs 37.2 pounds, slinging it over your shoulder will be a lot easier than some other, heavier electric bikes. 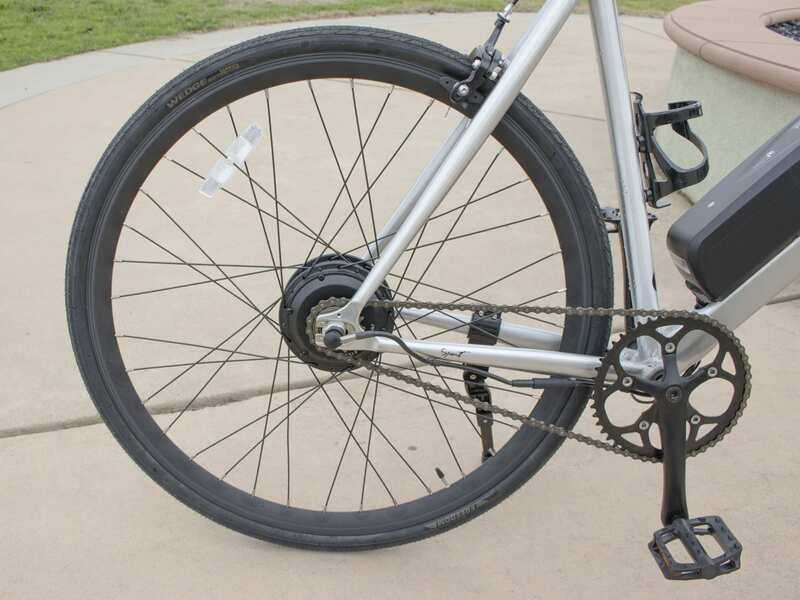 Comfort is one area where you compromise because of the narrower tires and lack of suspension, but those trade-offs are part of what make it lightweight and durable. 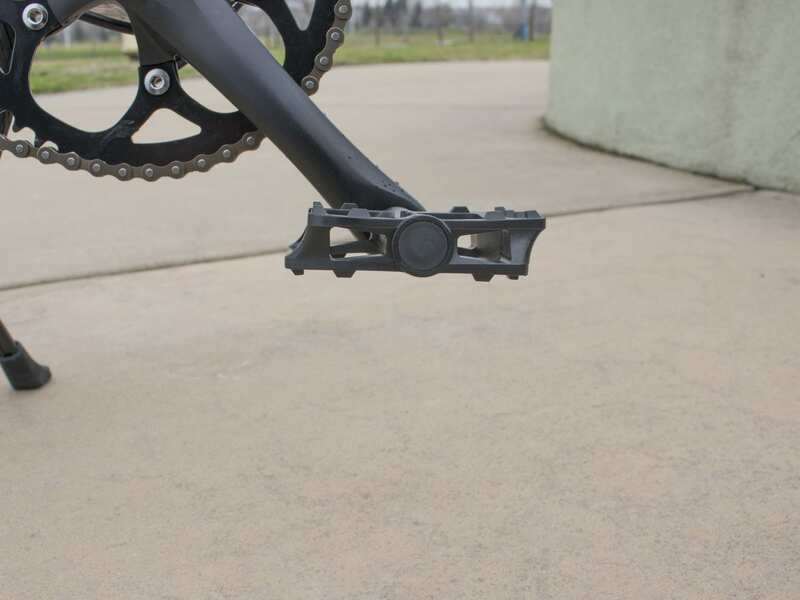 If you get a sore back and neck like I sometimes do, consider swapping the rigid seat post with a seat post suspension unit like this to reduce vibration and jar. I love how large and interactive the display is, but then it could get scratched and attract unwanted attention. I guess you can’t have your cake and eat it too right? 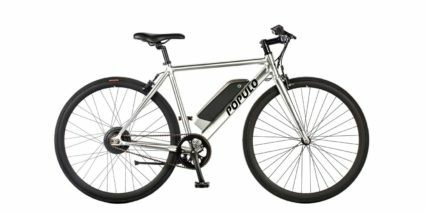 Since this model only comes in the classic high-step diamond frame style, it’s really great that they are offering four frame sizes, this is one area that adds cost… and Populo has been around for several years now and seems to be committed to the space, so it’s a product that feels like a reliable value vs. fly by night. 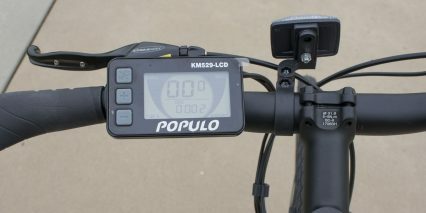 I want to thank Populo for partnering with me on this review and for sending over the Sport for me to test out!